There are 4 posts tagged Minimum Viable Product. This collection includes the early websites of Facebook (still with the The), 37signals, LinkedIn (not that bad in fact), eBay (without the pictures I'm afraid), Twitter (probably the first sketch), and more. Note that some may miss CSS and therefore may not display identical to the original. If "preach what you teach" still holds, this better be a minimum viable blog post. As far as I put the slide deck together in under 1o minutes, did the research for it during a quick train trip this morning, and publish this as soon as possible (even if it's a bad time to post), it would need iterations. By leveraging the web in creation of rapid prototypes for testing business model assumptions, and using customer feedback to develop them, companies will be able to advance in its' search for a repeatable business model and reduce risk in new-product introduction. 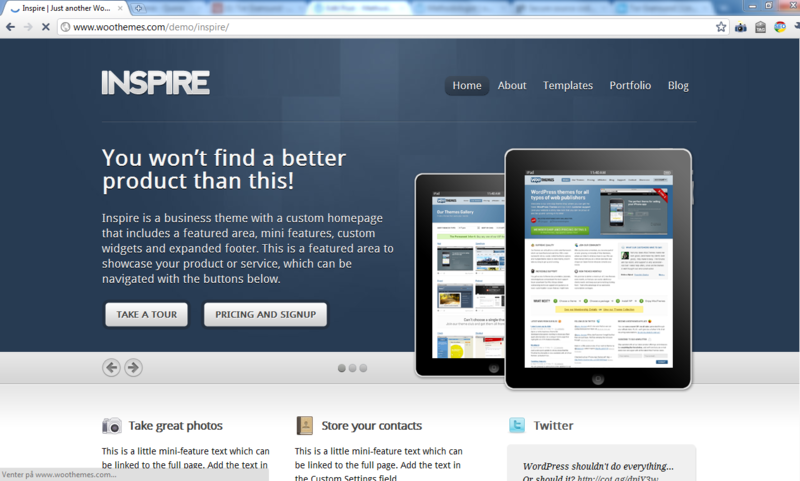 Inspire, a clean-cut theme from the rockstars at Woothemes. The theme leverages a clear value proposition and call-to-action alongside usable design. 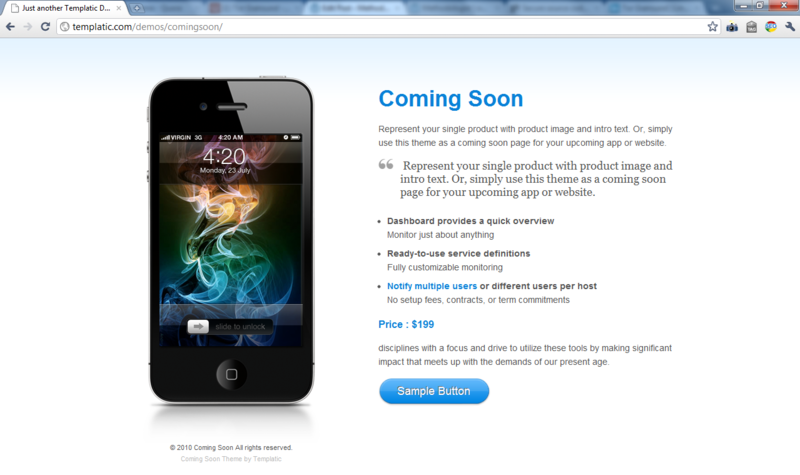 Coming Soon is a dead-simple landing page theme. Change the picture and do some copywriting, and you'll be up and running. Fullside is AppPress' brother theme, having some different design options. Have a look at the 37 Signals inspired decleration module at the bottom of the page. Get ready for ramping your conversion funnel. Minimum Viable Product is an essential part of of the Lean Startup and Customer Development methodologies. According to Eric Ries "the Minimum Viable Product is that product which has just those features (and no more) that allows you to ship a product that resonates with early adopters; some of whom will pay you money or give you feedback." 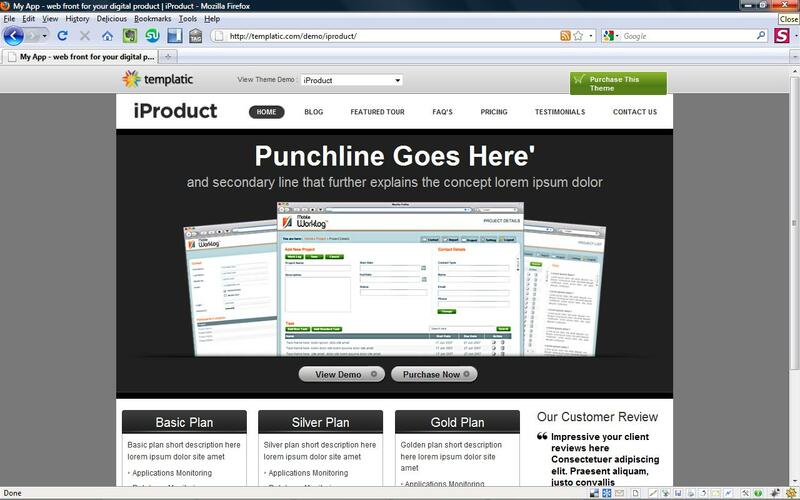 With the raise of cloud computing and SaaS, the website often makes the product itself. Nevertheless, commoditization of Amazon-ish hosing services, search marketing, free and open source software such as the LAMP stack and publishing systems like WordPress - allows startups to build and market their products at a lower cost. This is a simple overview of - cut to the chase - minimum viable WordPress themes. 1. 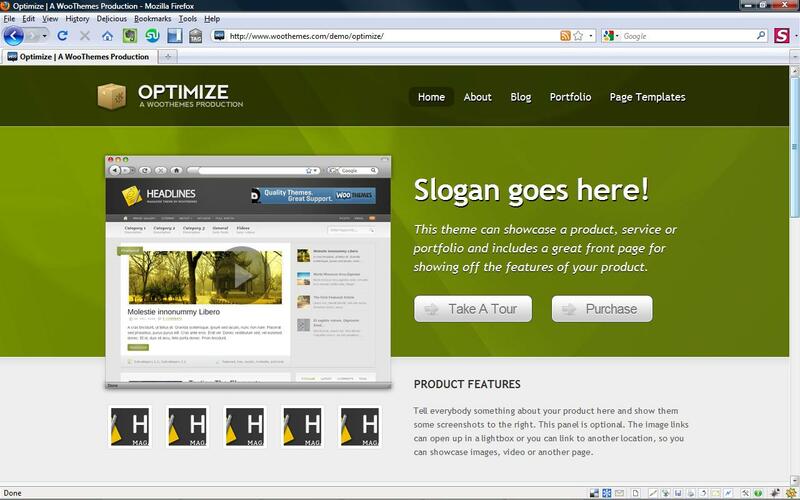 Optimize by WooThemes is a product and feature-centric theme that emphasizes a clear value statement and sense of call to action. 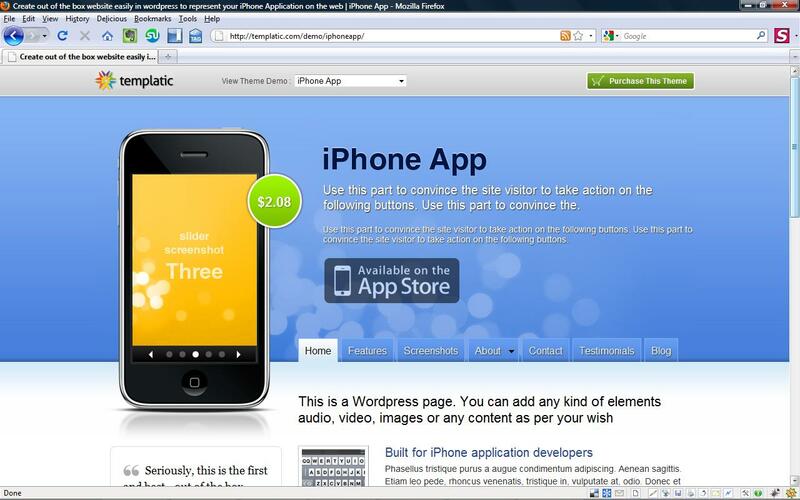 2.iPhone App theme by Templatic. The name speaks for itself. 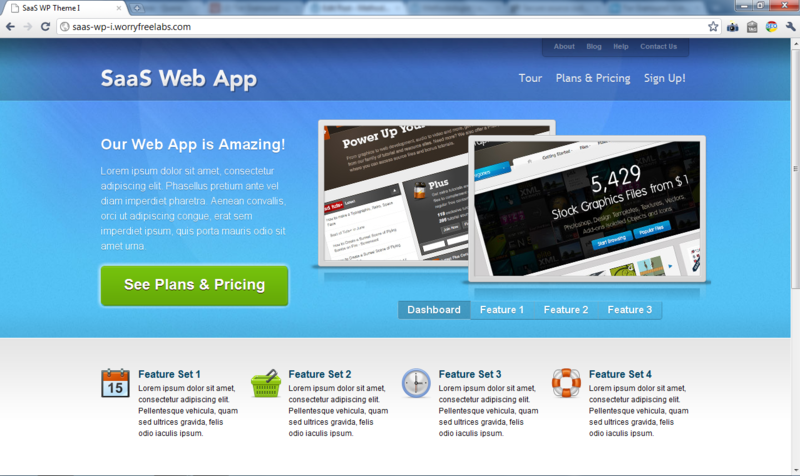 The theme is designed for, but not limited to marketing of iPhone apps. The call to action button is nicely positioned in the mid of the screen. Although the blue area/the header is static, I'm sure that this can be changed with ease. 3. 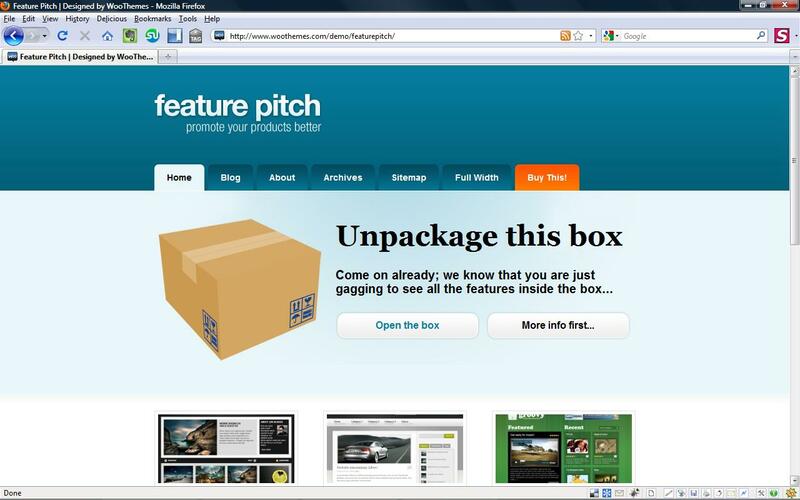 Feature Pitch by WooThemes is an out of the box theme suitable for marketing that one compelling product of yours. Also take a notice of that lighting orange tab at the upper right. Good thinking. 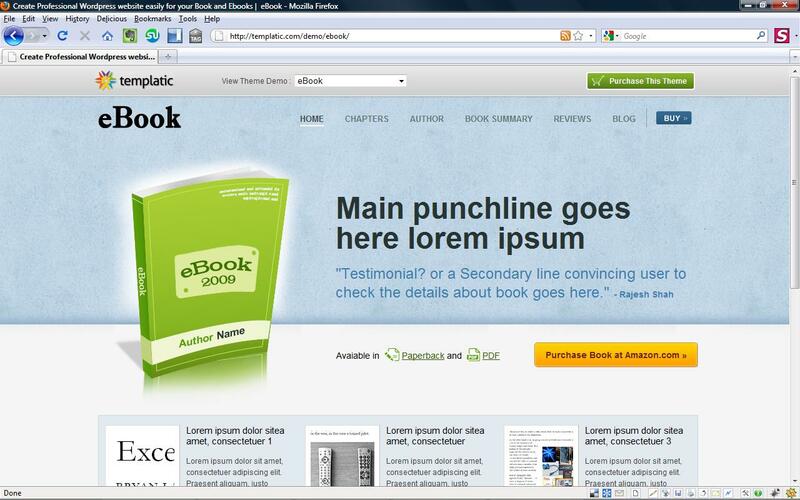 4. eBook theme by Templatic. Although the name implies a focus on eBooks, its message can easily be changed to work for any product. 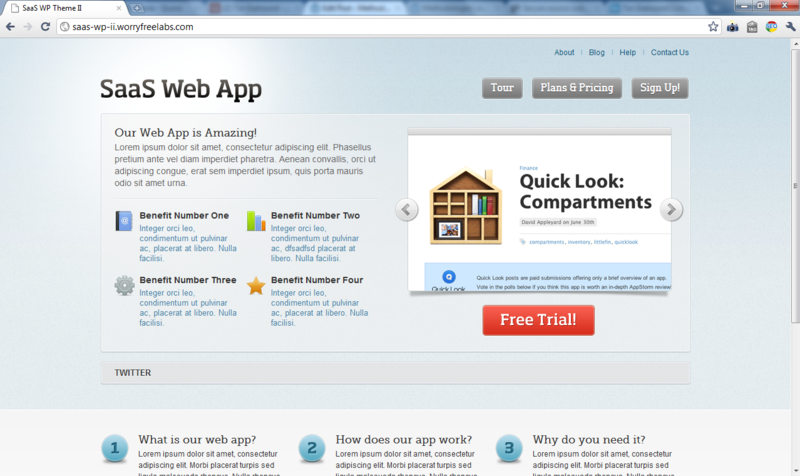 It comes with widgets for testimonials and newsletter sign-up right out of the box. 5. 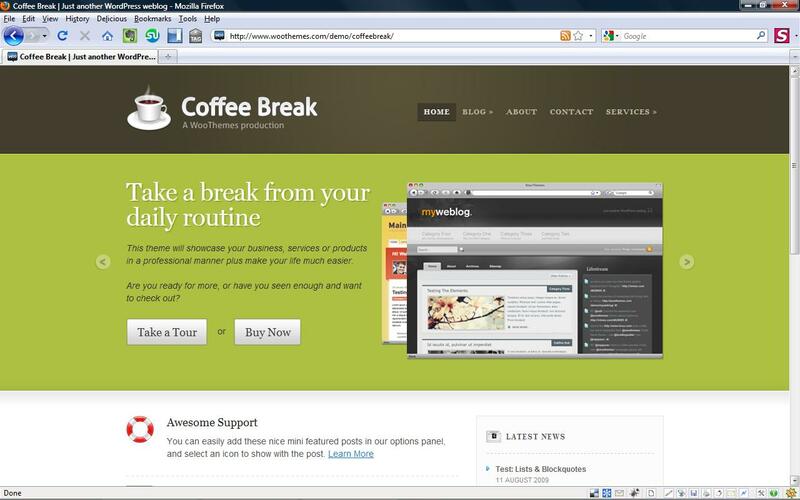 Coffee Break by WooThemes has unlike the others put the call to action buttons at the leftmost side. It is clean and clearly built with usability in mind. The slider can easily be disabled. 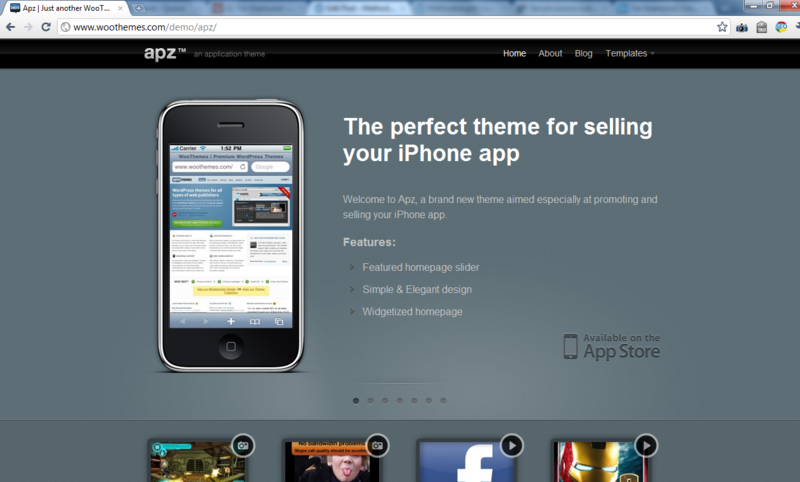 6. iProduct Theme by Templatic. Yes it is a product-centric theme. Its layout differs from the others as its download buttons are centered underneath the product image. iProduct comes with a pricing plan module, as well as a testimonials and customer service widget by default. 7. Eminent is a simple company-product hybrid. It provides call to action along with Twitter aggregation and client list features. 8. 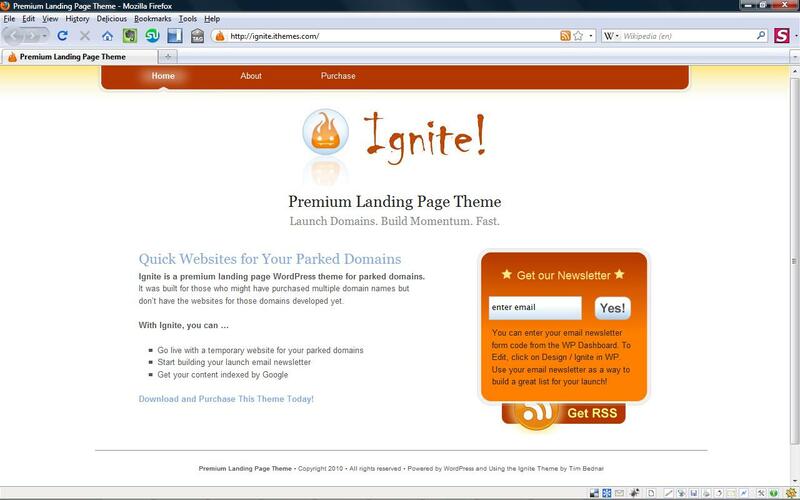 Ignite is one dead simple theme. It is primarily a landing page, but it might make a good basis for starting the design of a minimum viable product site. 9. 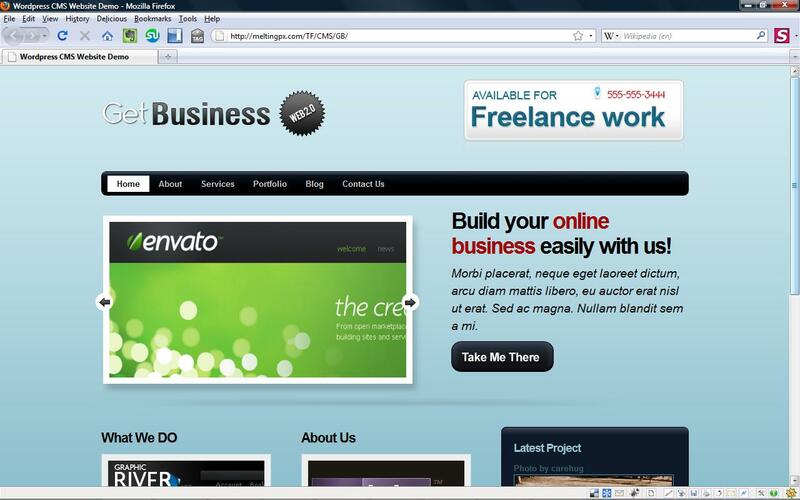 GetBusiness is a Web2.0-style theme more focused on company profiling. 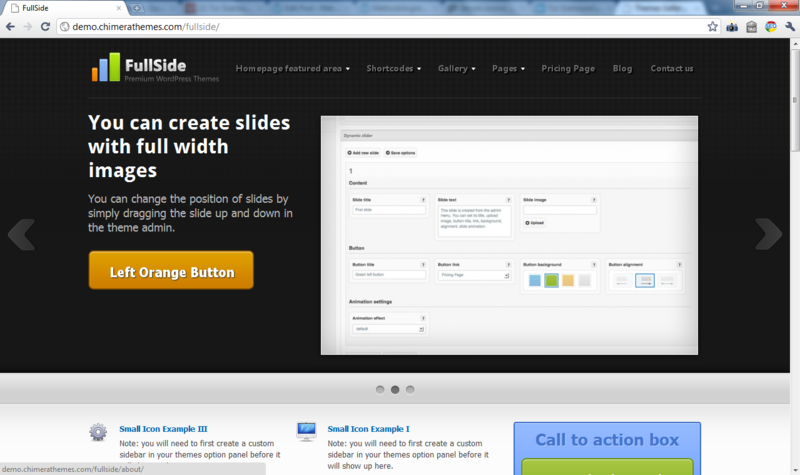 However, with slight modifications it would work as well as a minimum viable product theme. The call to action button and value proposition is at the heart of the front page. The themes have in common the emphasis on minimum viable product techniques. Their design is built around the product rather than the other way around. There is a clear slogan and value proposition, as well as product feature listings. 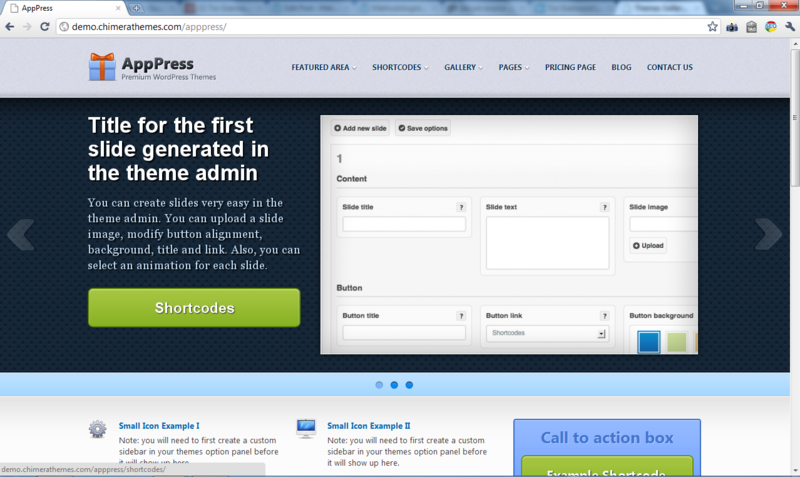 Call to action buttons, along with testimonials and customer service widgets are at the center of the templates. Perhaps the most important, the minimum viable theme should organize for customer feedback and simple testing of ideas. 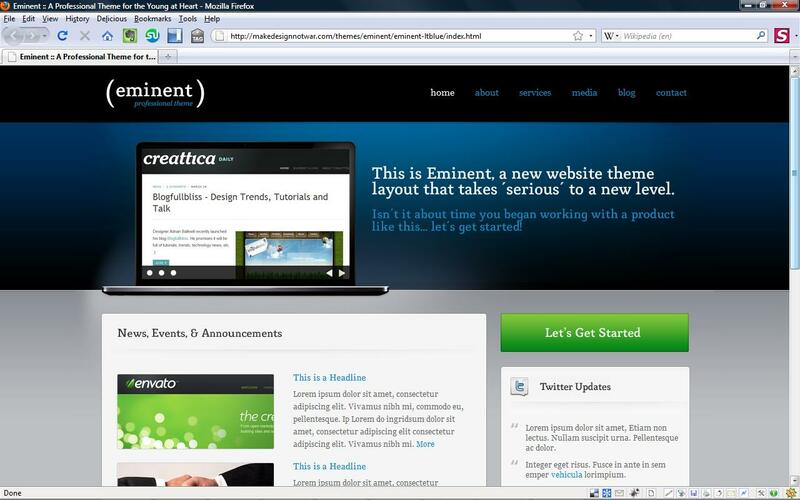 You may have noticed that WooThemes and Templatic themes dominate the list. I believe that this is not by accident. If you have a look at their respective sites, you'll see that they make good examples of how to design a compelling reason to buy. If you like this post you may also enjoy Business Model Press, a WordPress Plugin for Lean Startups.